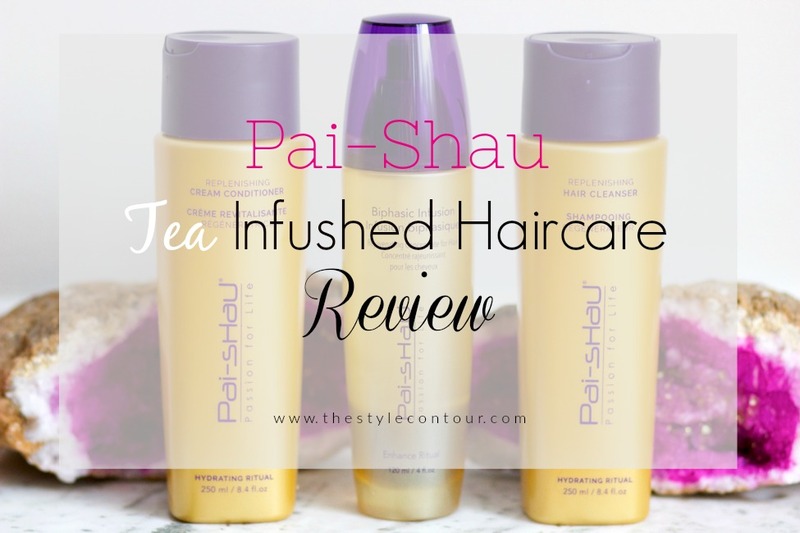 For Mother's Day, I was contacted by Pai-Shau, a tea infused haircare brand, and was kindly gifted a trio gift set containing two products from their hydrating line and an infusion product to review. I was so intrigued by their innovative concept of infusing an assortment of teas, vitamins, and antioxidants. I've never heard of a brand that's done this before, so I was eager to try these products out to see what they'd do for my hair. You all know how much I love graphic tees, I've talked about them quite often here on the blog and wore them a lot when I was pregnant especially. I noticed that I often talk about dressing them up with blazers (see examples here & here), but there are definitely other ways you can dress them up, such as with a pencil skirt, as I've done today. The one I'm wearing is faux leather, so it's not heavy for the summer months, making it a great option for a summer night out when you know it'll be a bit cooler. Happy Friday my beautiful friends! I'm sure many of you, like me, find yourselves on a crunch for time when getting ready to head out the door sometimes. On days like this, there's usually something that happens that disturbs the flow of me getting ready and before you know it, I look at the clock and I have about 20 minutes to get both me and Aviah ready to head out the door. Whether you're a mom on the go, heading to work or school, we all experience this every now and then and want no fail looks that we can turn to for days like this as a result.